Las Vegas / Wolfsburg – Volkswagen and NVIDIA today shared their vision for how AI and deep learning will shape the development of a new generation of intelligent Volkswagen vehicles. At the kickoff of the 2018 International CES, Volkswagen CEO Dr. Herbert Diess and NVIDIA founder and CEO Jensen Huang discussed on stage how AI is transforming the auto industry and highlighted the new I.D. 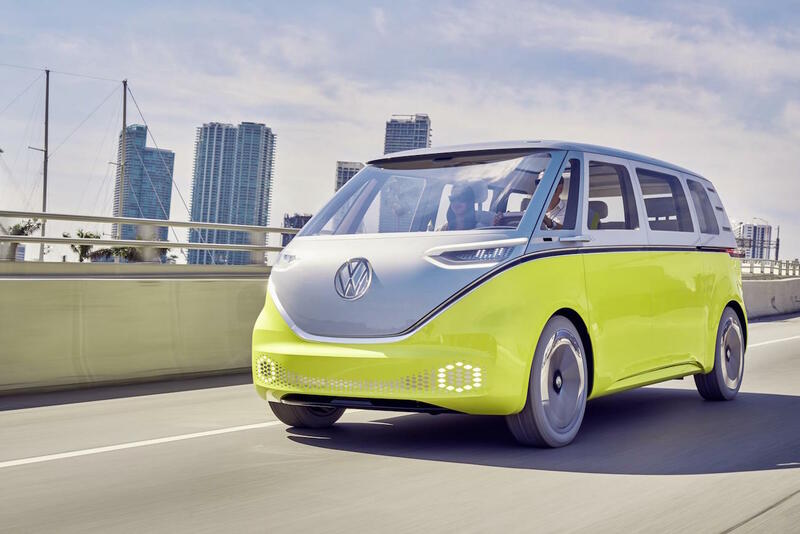 BUZZ, Volkswagen’s exciting new rebirth of the iconic Volkswagen MicroBus, reimagined in electric car form and infused with AI technology for the cockpit and self-driving. The I.D., I.D. CROZZ and I.D. BUZZ concept vehicles have not gone on sale, and therefore Directive 1999/94 EC does not apply.